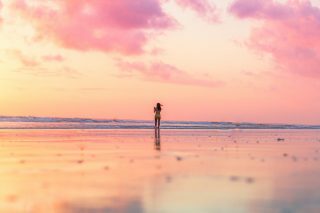 Whether you’re looking to recharge your batteries, enjoy some alone time or indulge in some natural therapies, Bali has some amazing waterfalls that are still relatively unknown to most tourists. 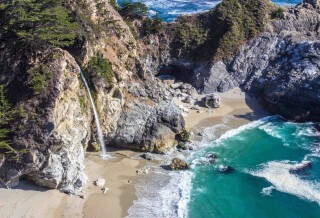 Culture Can You Match These 10 Waterfalls With Their Countries? Sekumpul Waterfall is actually a collection of seven waterfalls, located about two hours’ drive north of Ubud. There’s a 30-minute trek from the carpark – though you’ll start to see waterfalls after the first 10 minutes or so – through lush jungle that’s dotted with durian and rambutan trees. Entry is only a few dollars; don’t be fooled by people trying to coax you into further fees or by booking a tour guide. Once you reach the end of the trail, you can climb further up to the top of the waterfalls for sweeping views across the beautiful Balinese landscape. You’ve probably the stunning Nungnung Waterfall on the Instagram feeds of the travel elite. This singular waterfall, which is 900m above sea level and over 50m high, powerfully cascades with huge amounts of water to a picture-perfect pool below. It’s a tough climb to get there, so it’s usually quiet and you’ll often have the whole place to yourself. If you’re after a great photo, visit in the late afternoon to catch some epic light shafts filtering through the trees and down to the water. Tegenungan Waterfall is popular with local Balinese residents due to its close proximity to Kuta and Denpasar, so if you don’t have time to venture to one of the more secluded falls, it’s a must see. Despite its popularity, it still offers visitors a fresh, clean swimming pool under a running waterfall surrounded by greenery. 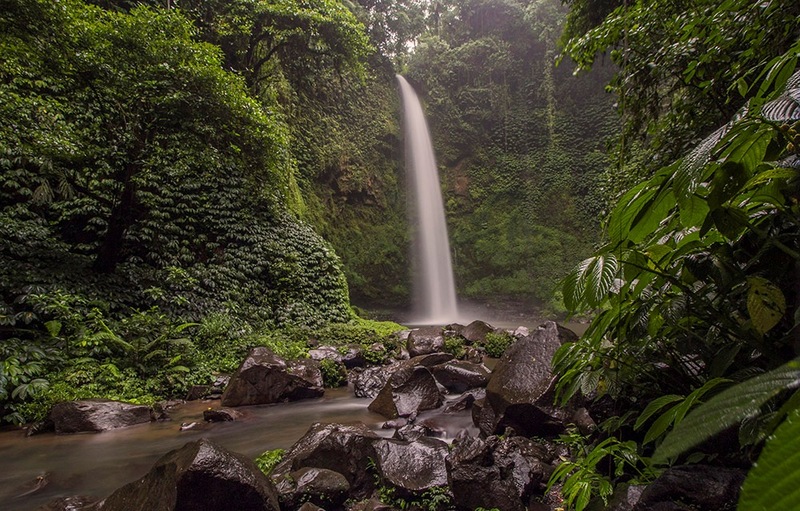 This is one of the lesser-known waterfalls in north central Bali. It’s a little tricky to find, as it’s a completely natural track and rarely hiked. If you want a guide, there are plenty who’ll flag you down on the roads leading up to the waterfall, and they only charge a few bucks. Once you arrive, it’s a pretty spectacular sight with two separate masses of water cascading down to a deep pool. In fact, it’s so secluded you could probably get away with a skinny dip. Just saying. If you’re doing a day trip to Nusa Penida, then you must visit Peguyangan falls. Unlike typical waterfalls, Peguyangan is a collection of short natural springs that fall over a steep ravine into the ocean. You can quite happily sit under one of the small cascades for some natural spa therapy and a “massage” from the fast flowing waters. Be warned, though — it’s around 400 steep, narrow, slippery steps down to the springs, so this one should be visited with care. If you’re a coffee lover, then Blemantung is for you. 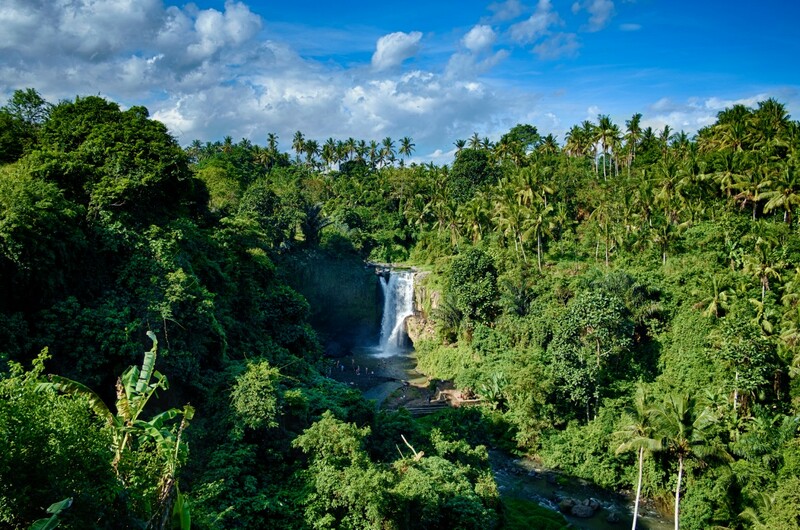 In the northern region of Bali, nestled among coffee plantations, this waterfall remains largely hidden from tourists. The walk to the fall from the carpark is only 200m and there are plenty of signs along the way so you don’t get lost. The fall itself is over 50m high and the best part is the fragrant air. Strong coffee aromas waft about to a soundtrack of whistling jungle birds and rushing water. It’s the perfect spot to read a book and recharge.